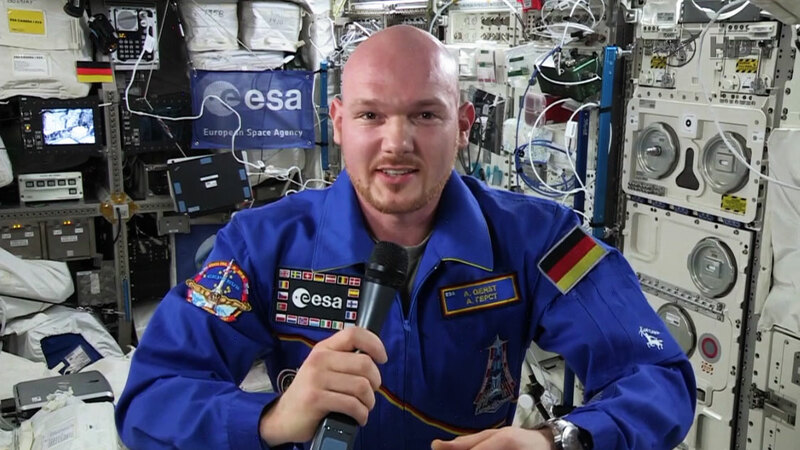 European Space Agency astronaut Alexander Gerst talks to German journalists. Cosmonauts Max Suraev and Alexander Samokutyaev opened the hatch to the ISS Progress 57 space freighter which arrived Wednesday morning. Suraev also joined NASA astronaut Reid Wiseman for descent training in advance of their Nov. 9 landing in the Soyuz TMA-13M spacecraft. Flight Engineers Barry Wilmore and Alexander Gerst scrubbed cooling loops in the U.S. spacesuits throughout the day. Gerst also changed the water in the Kibo laboratory’s Aquatic Habitat. Orbital Sciences Corp. has completed an initial assessment of its launch facility in Virginia after Tuesday night’s catastrophic failure of the Antares rocket.